My Mum is my hero, my mum lived with heinous abuse from a father who with anger and malice, controlled, beat, mocked and tore apart his children. My mum bore the brunt of that and its scars. Her stories feel to me like they should be in this book- like she should be one of the daughters. Except mum has broken the cycle and won the path to recovery- which is why she is my hero. Forever thankful mum! Dont read this book if you want a happy read, this book is about abuse, about suffering, about powerlessness and brokenness. 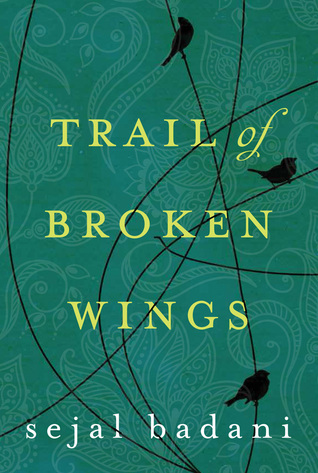 As their father lies in a coma, three Indian American sisters reunite with their mother at the bedside of the ailing patriarch. We learn the back story of this broken family, and the women they have become as a result. Three adult sisters, Sonja, Marin and Trisha, along with their mother, Ranee, take turns sitting at the hospital bed of their father, Brent. None of them love Brent, but otherwise, their feelings are constricted and messed up. The doctor comments on how faithful and full of love they must be as a family because more than most, one of them is there every day. Wordless, they become silent and look at their feet. Will they ever have the courage to talk about the elephant in the room - Brent's abuse? With the exception of Sonja, all of them are married. However, every one of them is unhappy and still struggling with the effects of their father's abuse. Their marriages are full of secrets and lies because they have never spoken of the hitting and the slapping, the bruises and the name-calling. Marin's daughter Gia struggles to keep up with Marin's rigid exacting demands of scholastic excellence, no excuses, as Marin works and works and works, climbing the ladder of career success after success. Trisha's smile rarely falters as her house and body are kept as beautiful as she can manage with the wealth her husband provides, her life kept smooth and efficient and perfect, but childless. Sonja finally left home after she told her father she would not go to college and study to be a lawyer, but instead she wanted to be a photographer, and her mother told her she should have aborted Sonja. . They all have seen Brent beat Ranee bloody. Now Brent is on a ventilator, near death. As the days go by, and they speak of 'pulling the plug', each of them suddenly finds they are in crisis, coming apart. Continuing the pretense this family is normal does not work anymore. The father's abuse has been a poison killing all of them. Can they fix it?